I used to ask my mother on Mother's Day, "why isn't there a day to celebrate the children as well as the parents"? 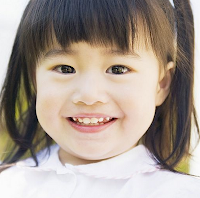 Her response would always be "everyday is children's day" punctuated with a wink. 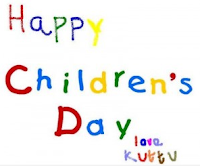 After all those years with "no REAL children's day", I discovered many countries around the world celebrate a children's day. For example, in Japan and Korea, May 5th is nationally known as Children's day. It is the day when families celebrate the happiness and growth of their children. 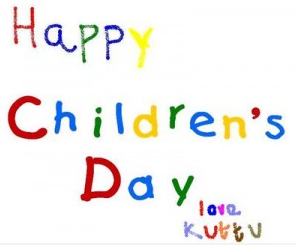 Although it has been celebrated for hundreds of years, Children's Day became an official national holiday in 1948. On this day it is tradition for families with boys to hang large carpe-shaped streamers outside their home to symbolize strength and success. Other celebrations including bathing with iris leaves and root sprinkles and eating kashiwamochi, rice cakes wrapped in oak leaves and filled with bean paste. These activities are to ward off evil and encourage good health. Activities involving arts and theater are widely celebrated on this day. Kids Olympics is nationally celebrated and is participated in by both children and their parents. Even though not everywhere has a nationally acknowledged Children's day, hug your children today and tell you love them. Others celebrate Cinque de mayo; just think of how many people were celebrating last week! Were you?